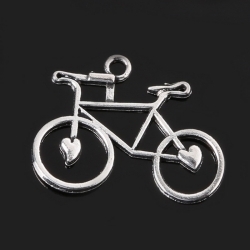 Pack of 6 silver-coloured metal bike charms, each being 3cm wide. 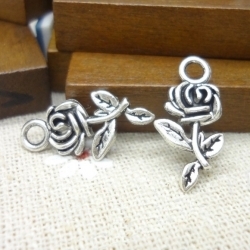 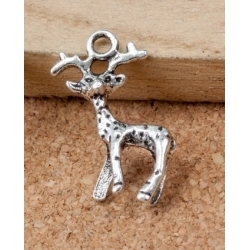 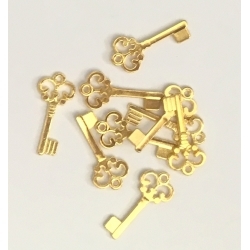 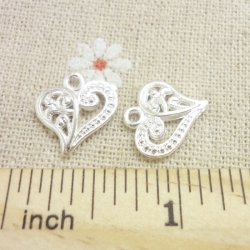 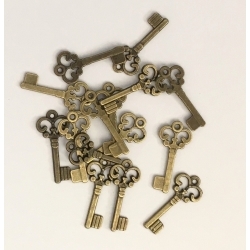 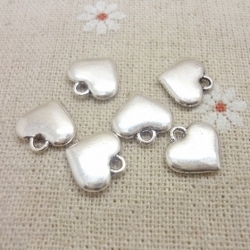 Made from a zinc alloy.BUY 10 PACKS (60 CHARMS) AND SAVE 50%! 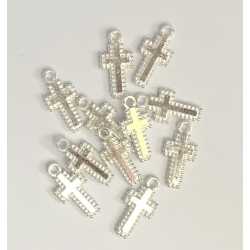 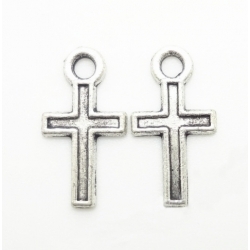 Pack of 20 silver-coloured metal crosses, each one being 1.4cm tall. 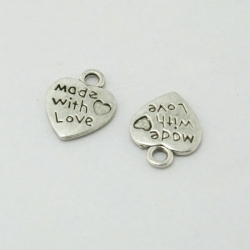 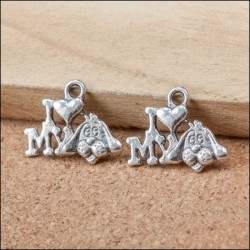 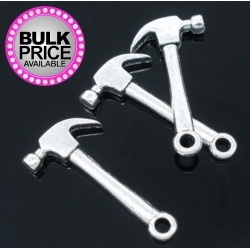 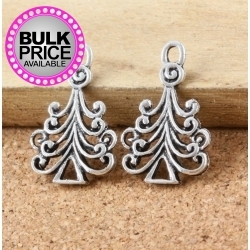 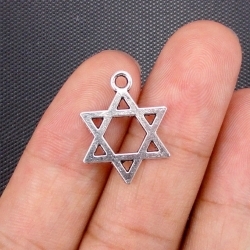 Made from a zinc alloy.BUY 10 PACKS (200 charms) AND SAVE 50%! 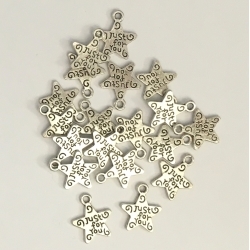 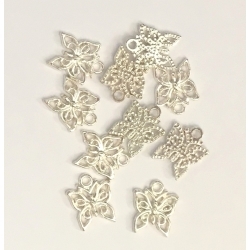 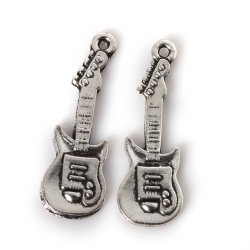 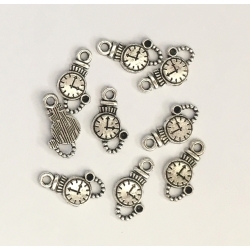 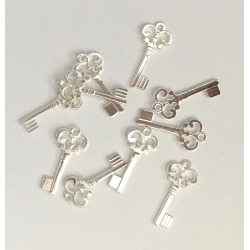 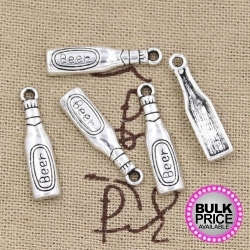 Pack of 8 silver-coloured metal guitar charms, each having a flat back and a hanging loop. 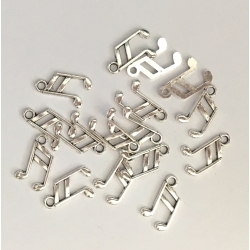 3cm long (including loop).Great for music-themed cards and crafts.BUY 10 PACKS (80 CHARMS) AND SAVE 50%! 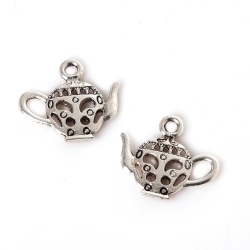 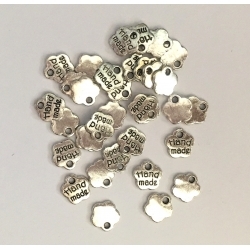 Pack of 12 silver-coloured metal teapot charms, double-sided so they can face either way. 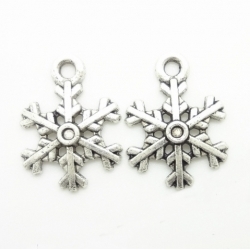 17mm wide.Made from a zinc alloy.BUY 10 PACKS (120 of the same charm) and get 50% OFF! 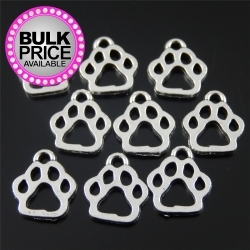 Pack of 6 silver-coloured metal cat charms, each being 2.5cm tall. 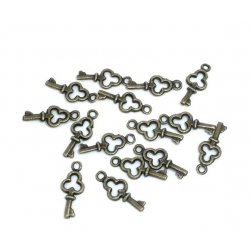 Made from a zinc alloy.BUY 10 PACKS (60 CHARMS) AND SAVE 50%! 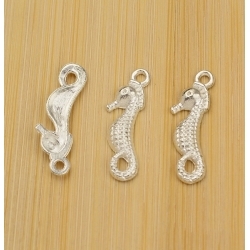 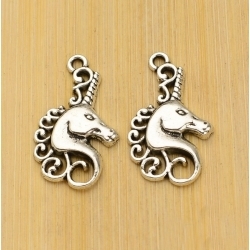 Pack of 10 lovely little silver-coloured metal seahorse charms, 2.3cm tall.Made from a zinc alloy. 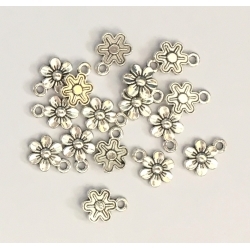 BUY 10 PACKS (60 CHARMS) AND SAVE 50%! 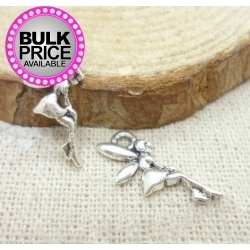 Pack of 6 silver-coloured metal wishbone charms, made from a zinc alloy. 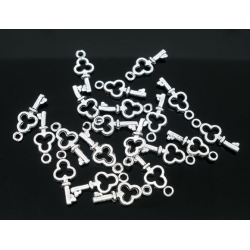 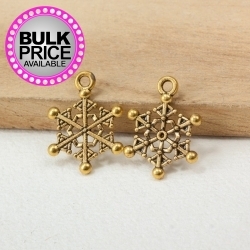 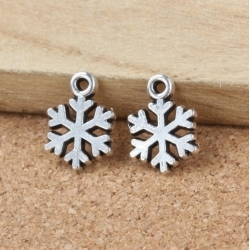 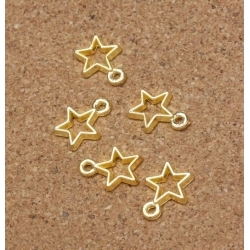 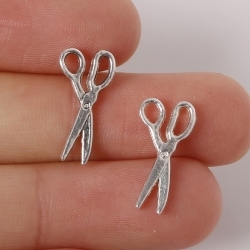 16mm long.BUY 10 PACKS (60 charms) AND SAVE 50%!